Summary: Peyton, Sydney's charismatic older brother, has always been the star of the family, receiving the lion's share of their parents' attention and—lately—concern. When Peyton's increasingly reckless behavior culminates in an accident, a drunk driving conviction, and a jail sentence, Sydney is cast adrift, searching for her place in the family and the world. When everyone else is so worried about Peyton, is she the only one concerned about the victim of the accident? 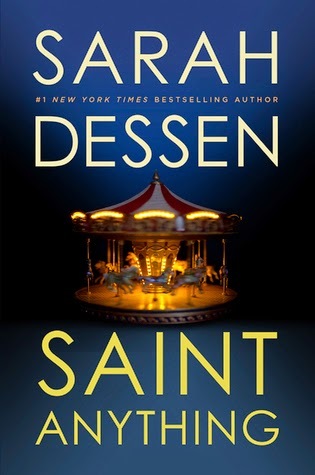 My Thoughts: Wow, I always seem to love Dessen’s books and I loved this one just as much as the others. I read it within a few days, I breezed right through it! We are introduced to Sydney who has always been in the shadow of her older brother Peyton. Or at least it seems that way. In my opinion, I thought Sydney was an amazing person all on her own. I liked Sydney much more than I liked Peyton. When Peyton finally gets into trouble he can’t get out of his family is left to deal with the consequences. See, Peyton has had some trouble during the past year but when he hits a guy riding a bicycle and leaves him injured really bad Peyton finally gets some jail time. This affects his whole family. Sydney really had to grow up and fast and her parents sometimes treated her like she was in the one in trouble. Sydney was such a kind and gentle soul. She also meets a boy named Mac. Sweet sweet Mac. He comes off as a sort of bad-boy at times but really he’s a sweetheart!!! He also has a nice little family who Sydney really likes. She understands them. She fits in with them. I don’t want to say much about this one. I don’t want to ruin it. I loved the jail aspect because it really put some things in perspective. I liked the family and romance too. I thought this was a sweet and charming novel. It was raw and emotional but I also felt happy at times. Overall: I really loved this one!!! 5 cupcakes all the way from me! Loved the plot, loved the characters, and just flat out loved it all!!! Highly recommend this one! Cover: Like it! Its very sweet!